What Does It Take to Grow BIG Vegetables? 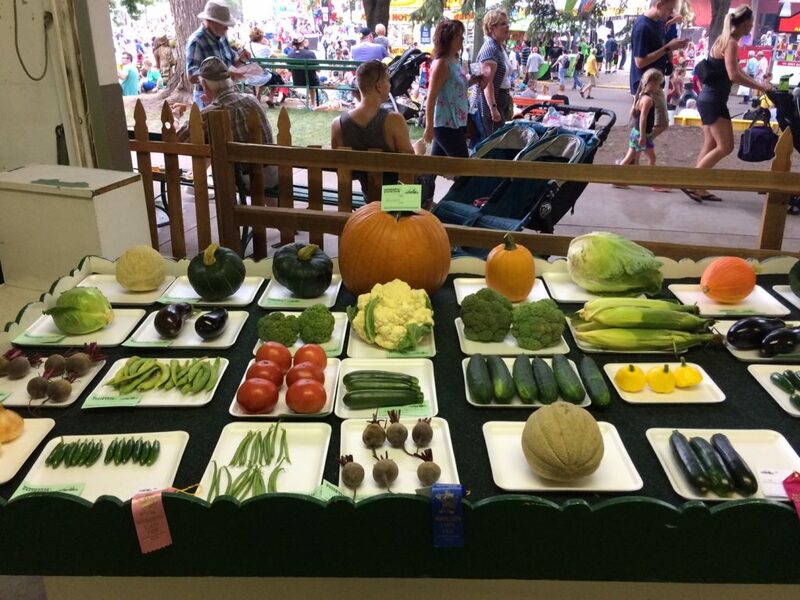 If you have visited MSHS at the Minnesota State Fair, you’ve been in the Agriculture/Horticulture Building, home to craft beer, University of Minnesota apples, floral displays galore and the room where the BIG vegetables are on display. I have to stop there every year to check out the massive pumpkins (this year’s big winner is 1,100 pounds! ), large zucchinis, extra big banana squash and other oversized wonders. I always leave with two questions: Are they hard to grow? Do those big vegetables taste different than the regular sized ones? This year, I decided to do a little research. 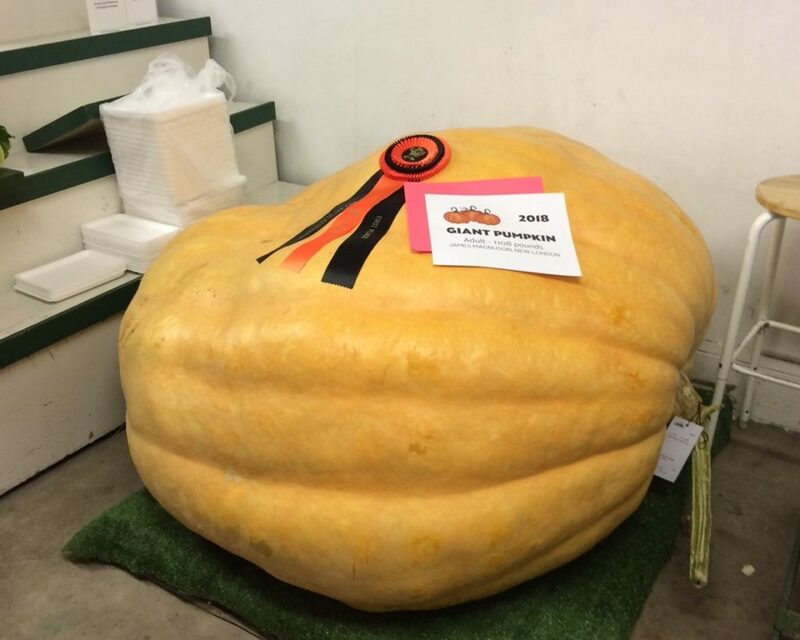 This 1,100 pound wonder won the giant pumpkin contest at the Minnesota State Fair. Growing giant pumpkins requires the right seeds, growing conditions, lots and lots of fertilizer and a fair amount of care, especially pruning. To get the pumpkins to extra big size, growers will look for seed from other large pumpkins—sort of the same thinking as “if your mom was tall, you will be too”. They start the seeds indoors in April to get the plants going in the spring, and once planted outside, they will bury much of the early growth of the pumpkin vine. At each leaf node underground, the pumpkin will send down a root, which allows it to pull in moisture and nutrients from the soil. Once a fruit is set, growers will baby it by covering it and placing it on a mat to ensure it stays clean. At times the fruits grow rapidly (like 30 pounds a day), so one concern is that the fruit not split. You can find seeds to grow large vegetables of all kinds through seed exchanges. Wisconsin is home to an active group for large pumpkin growers. This video shows how one grower gets his extra big pumpkins. As for taste, well, these pumpkins are not grown for flavor, and my own experience is that once a zucchini gets past a certain size it’s only good for zucchini bread. 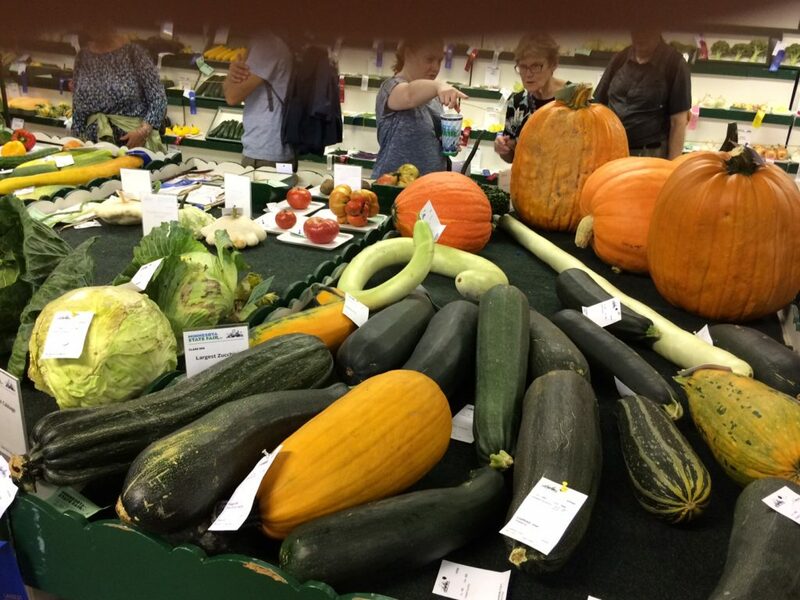 You can find the giant vegetables and other vegetable displays just down the hall from us at the Horticulture/Agriculture building at the fair. We are in the Dirt Wing and hope you’ll stop by during your fair visit. We’ve got gloves, books, an educational display and lots of information about joining the hort society. See you at the fair! You can also see perfect-sized vegetables at the fair.